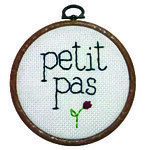 .petit pas: i made: a christmas tree p1. It is now officially december, which means I can go Christmas CRAZY!! The wreath is on the door.. and the Christmas tree is now up! I should start by explaining, ever since morgan and i have been together, each year we make our own Christmas trees. 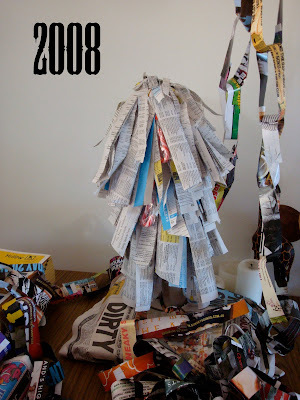 The first year we were dating, we made a tree out of old phone books. 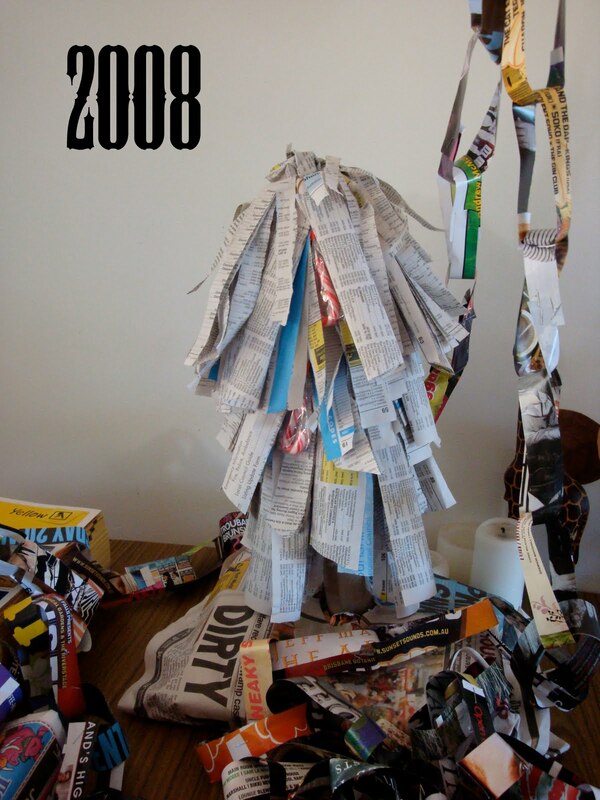 I can't remember why, but my housemate at Tara had a heap of old phone books from work, so we ripped them up, and created this tree.. I looks more like a palm tree.. The next year, morgan found this crazy green wool at the craft store, and so we made a tree using that. 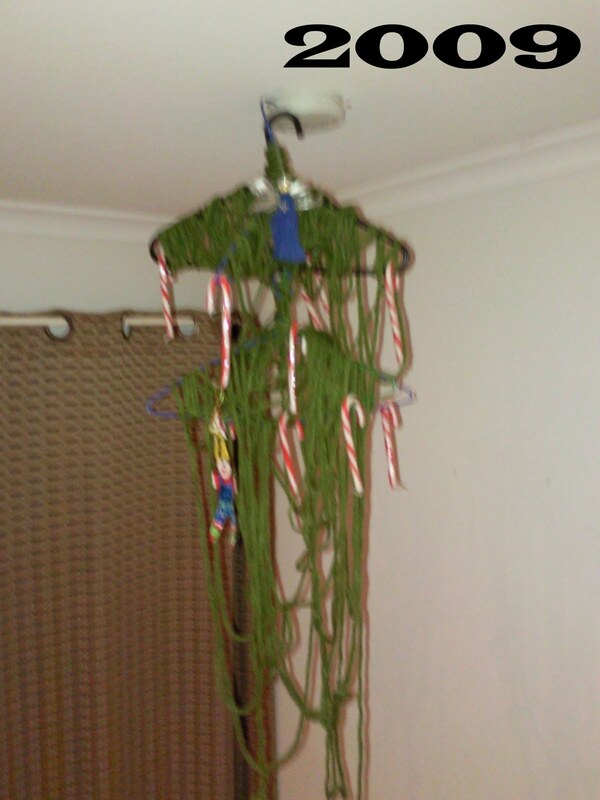 It hung awkwardly off the smoke detector in the doorway of my room. 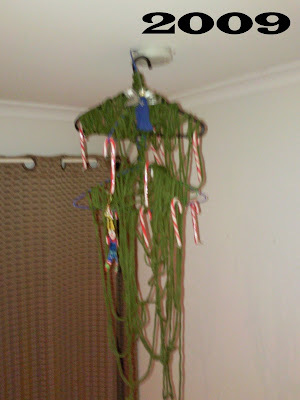 This year, however, our tree is much better than those in the past. This year our tree is amazing. I love making a new tree each year. I love using scraps and creating something that represents the fun of Christmas.. So, place your bets. What do you think this years tree is made out of? My vote is books. As in books stacked on top of each other. but that is a very cool idea talia.. hmm. i'll keep that in mind for next year. i was going to say books, too.